Sometimes the pain from doing your work as project manager will be so unbearable that you just want to quit. Unless it is for fear of being implicated in some kind of ethical violation, there is no reason why you should quit a project. Even in this case, you should try to get fired instead. I mean fired for trying to expose the unethical act. But one should never quit. The point when you start thinking of quitting is a good sign that what you are trying to avoid is exactly what you need to do. Anytime you feel like you want to quit, there is always one important, critical, defining move that you are afraid to make on your project. Your job is to find out what you are afraid of and do exactly that. Is it a bully who is wreaking havoc on your project and you fear confronting him? Is it a senior manager who is making all kinds of terrible decisions that are derailing your project? Is it an ungrateful sponsor who you can never please no matter what you do? Are you afraid to confront them? Are you afraid to create a crisis? What will happen if you do? Nothing bad will happen to you. Here is the good news: you will not die. Find out what you are really afraid of and do it. That will save your project and save your career. The worst thing that can happen to you is you get fired. Do what needs to be done and get fired. Go down as a hero and wear getting fired as a badge of honor. You will be more respected that way than quitting when the heat became too much for you. The other good news is that it when you feel you want to quit is the place where real growth happens. In my experience, it is in those projects where I could not leave, for one reason or another, when the discomfort was so unbearable that I felt I have grown the most as a PM. Mastery is only possible when you force yourself to stay in the game, when you feel like quitting. If you quit now, how else are you going to experience the discomfort and hardship that will enable you to learn about who you are and what you are capable of? You will surprise yourself of what you are able to accomplish. Even if you fail, you will still have gained a valuable experience. What you are experiencing is resistance. You must go right now and buy the book “The War of Art” by Steven Pressfield. Sometimes you have to quit. That’s O.K, as long as fear is not the motivation. The reality is that most challenging situations that make us want to quit are not unique to a specific project or organizations. We will run into them again and again in our career. If you get into the habit of avoiding tough situations now then how will you learn to face them the next time? For me, I much rather get my “punishment” sooner. That’s why I encourage you to not acquire the habit of quitting too soon or too often. You don’t want to teach your nervous system to have a low pain thresholds. That would not be sustainable for a PM career. Of course, it does not make sense stay in a miserable situation and suffer in vain. If you stay, it has to be for a good reason. It has to be because you are going to intentionally use the situation as a learning experience to hone your craft. This will require mindfulness and deliberate practice. You have to consciously use the situation as an experiment for trying different interventions and seeing what works and what does not. One thing that surprised me when I frame unbearable situation as a laboratory for experimenting and honing my craft is that this takes the emotional edge out of the experience. So the next time you feel like quitting, remember what Mrs. Pressfield said about resistance. Don’t let resistance win. You don’t want to miss the chance to see for yourself just how much the human spirit can take and still thrive. Have you ever felt like quitting your project? I would love to hear your experience. Make sure to leave a comment. 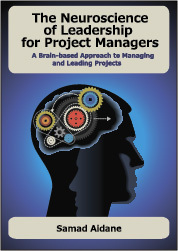 Don’t forget to read Part 1 of How to be a happy project manager. Great minds don’t just think alike, we quote alike. I referenced Pressman’s book, “Gates of Fire,” in a blog post yesterday. Actually, I referred to George Tenet quoting from it, but no matter. I love Steven Pressfield’s book the war of art. Have you read it? Highly recommend it. I have not, but based on your recommendation, I just Kindled it to my iPad. Thanks!